Welcome to CNC Electronics Wests May Newsletter. Please contact us if you would like a copy of our 2018 price list and we will arrange for one to be sent out to you by return. 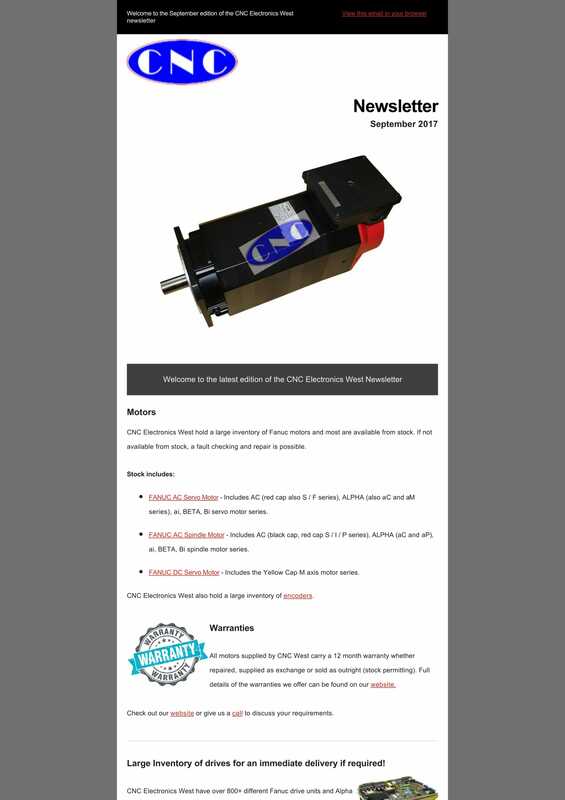 Welcome CNC Electronics West’s September Newsletter. 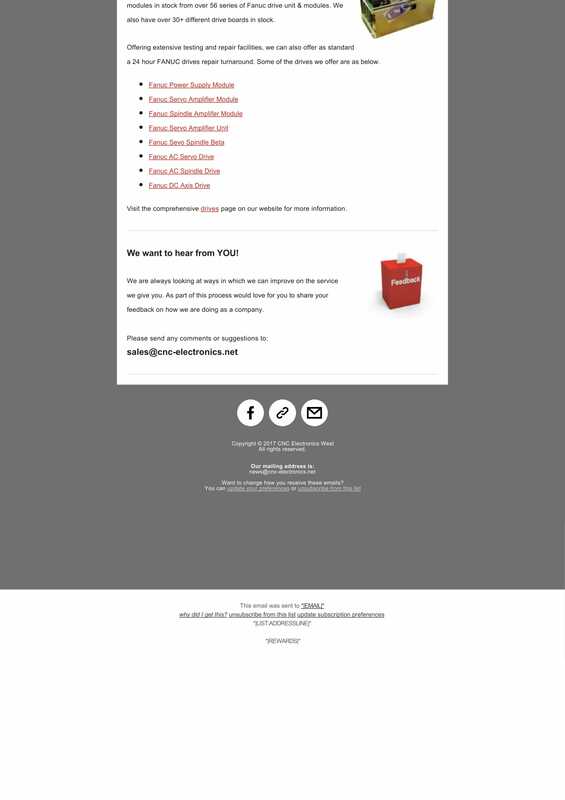 The first ever CNC Newsletter Launches! The first ever CNC Electronics West Newsletter has just been launched. Issued every quarter our newsletter will keep you up to date with all of our latest company and product news. Subscribe today and don’t miss out!